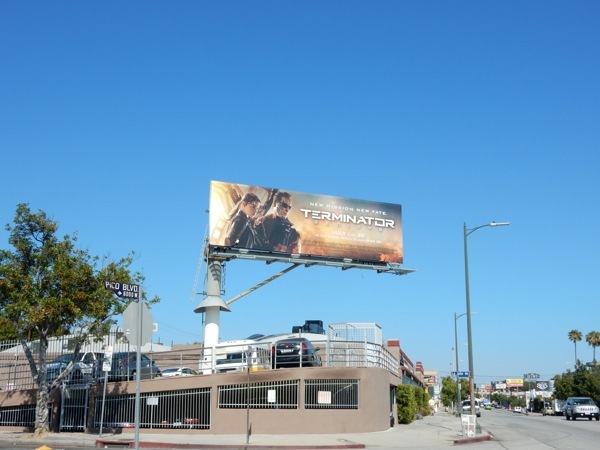 When Daily Billboard first spied these billboards for the rebooted Terminator movie franchise, Terminator Genisys, at the end of March we thought we were just being teased and more would surely follow. 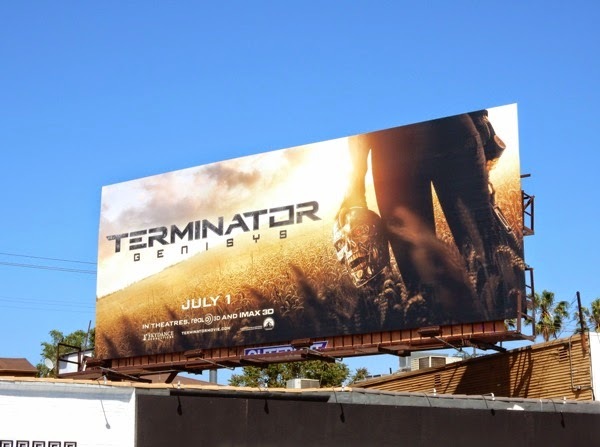 Then they disappeared for a time and then the exact same cornfield teaser creatives reappeared in the skies of L.A. again for a time. 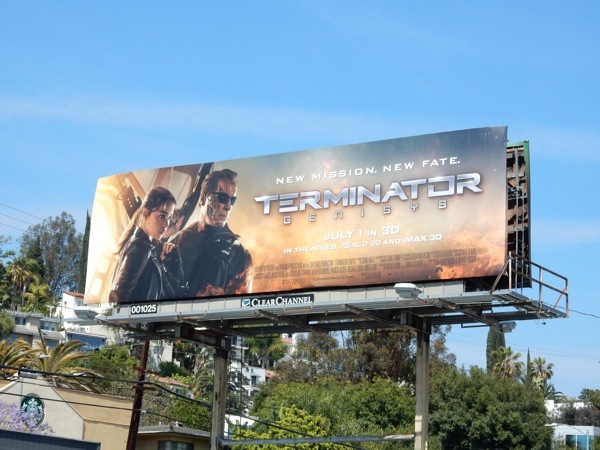 Now what seems to the be official theatrical billboards have surfaced, but Daily Billboard has to say we're a bit underwhelmed. 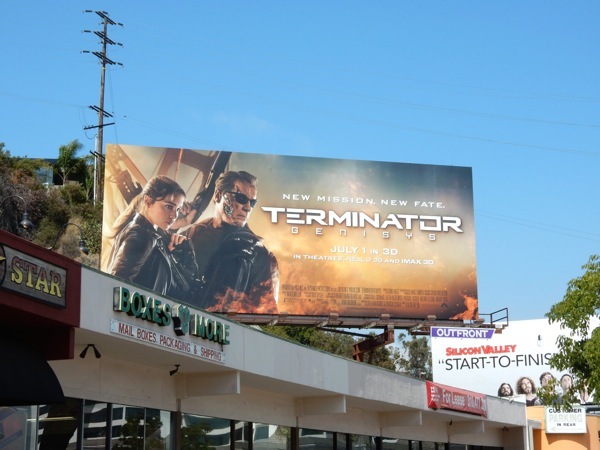 Yes, they feature Arnold Schwarzenegger back in his original Terminator glory, joined by (Game of Thrones 'Khaleesi' Emilia Clarke), but they don't really bring any sense of excitement, action or originality to the city skyline. 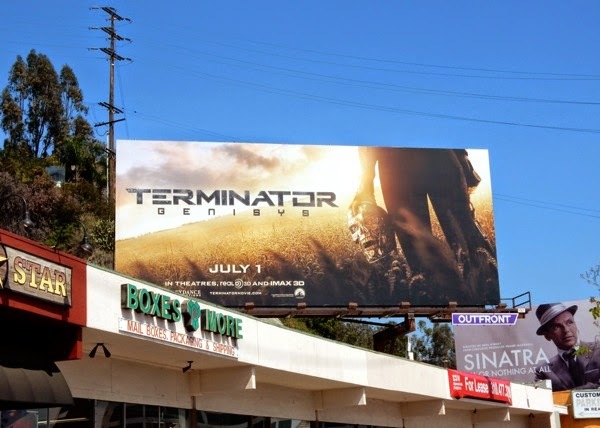 In this fifth movie installment 'Kyle Reese' (Divergent's Jai Courtney) travels back to the past and finds himself in a new time-line, where he teams up with 'Sarah Connor' (Clarke) and an aging Terminator (Schwarzenegger himself) to try and stop the apocalypse Skynet created, Judgement Day. All sounds a little familiar doesn't it, let's hope there's a few surprises to be found in Terminator Genisys (like a good explanation for the name). 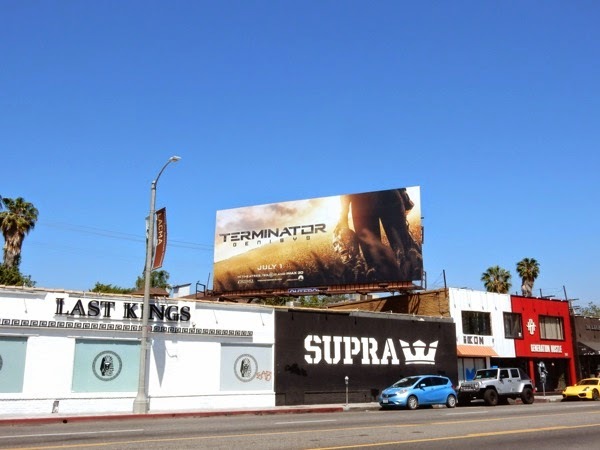 The teaser billboards were first spied along the Sunset Strip in West Hollywood on March 20, plus later along Melrose Avenue on April 1, whilst the 'New mission. 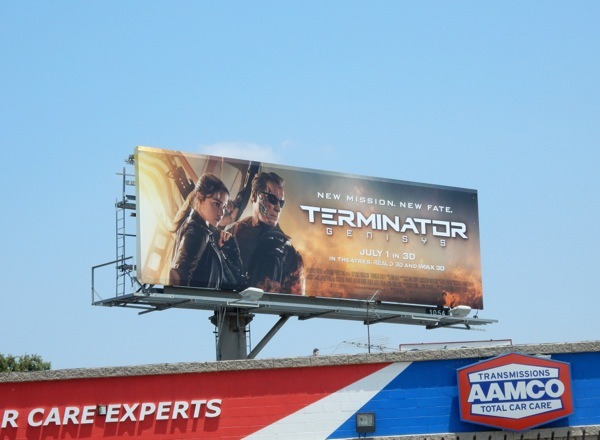 New fate' billboard was snapped along Highland Avenue on May 28, 2015. 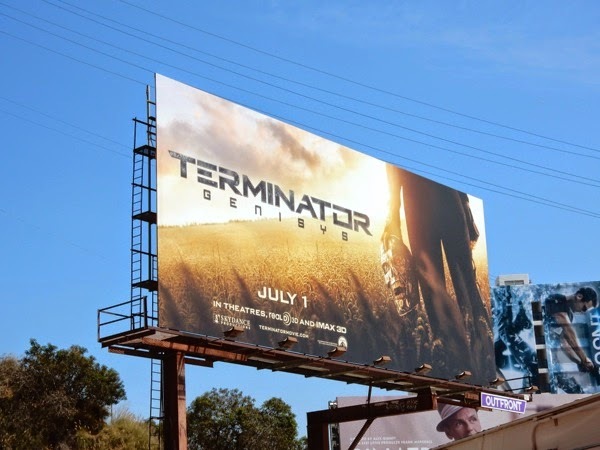 If you're a fan of the iconic sci-fi film franchise, be sure to also check out these Terminator Salvation movie billboards from Spring 2009, the last time the franchise was rebooted on the big screen. 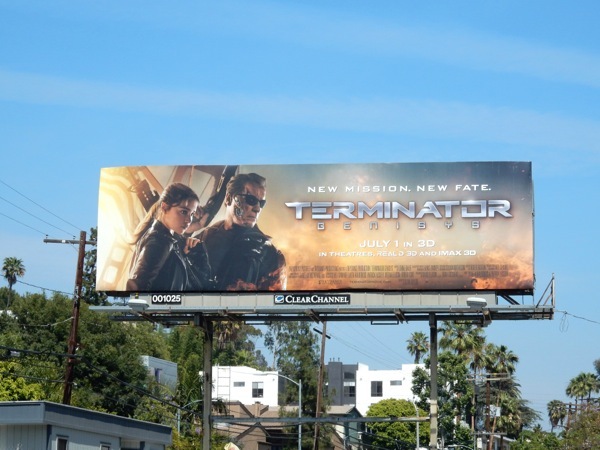 UPDATED: Here's a larger version of the theatrical release billboard snapped along the Sunset Strip on June 5, 2015.